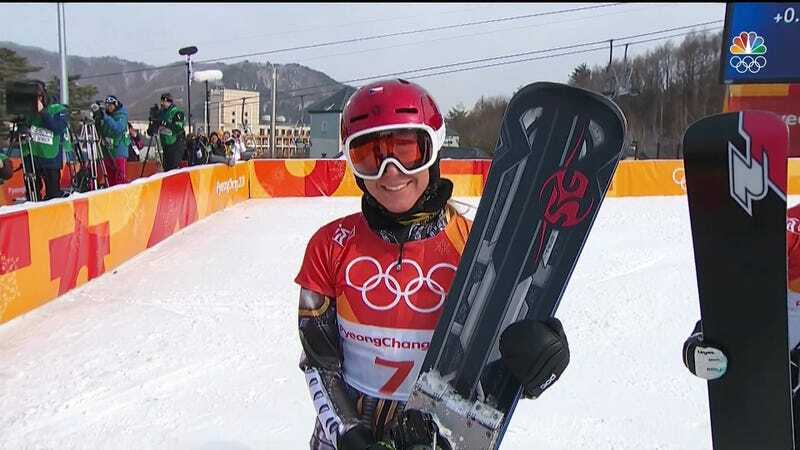 Ester Ledecká, who basically won Super-G in alpine skiing by accident on a pair of borrowed skis, claimed gold in her primary event as the Czech sailed to the finish of the snowboard parallel giant slalom well ahead of silver medalist Selina Joerg. 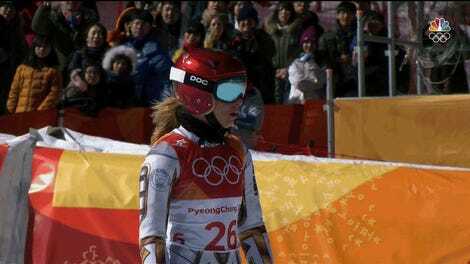 Ledecká stormed through the event like the favorite she entered the Games as, torching opponents with finesse and strength (while possibly benefitting from running the red course of the slalom, which appears to have been a slightly faster track). Even before entering the final, she’d become the first person to medal in two unrelated events at the same Olympics since Katherine Rawls earned silver in diving and bronze in swimming in 1936. The only other Olympian, ever, to win gold in different sports at the same Olympics was Carl Schuhmann who won gymnastics and wrestling in 1896.